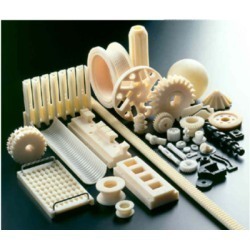 We are a specialized manufacturers and exporters of a wide range of Engineering Plastics that is manufactured utilizing quality raw materials such as Cast Nylon, Extruded Nylon, Polyacetal, PTFE, UHMWPE, PP, HDPE, Polyurethane, PEEK, Polycarbonate etc. These raw materials are stringently tested on various quality parameters that are conducted in reputed testing labs on regular intervals, to ensure that the products offered by us are of High Performance Orientation. Moreover, to meet the varied requirements of our clients, we can also customize these as per the specifications laid by them.